I don’t like dressed salads of any kind. I am a super boring salad eater–if I have the right cheese and my homemade croutons (made in the air fryer with low carb bread), I’m happy! So when I find a salad that is dressed and laid out in detail for me (not “toss with your favorite vinaigrette!”), I am glad to make it over and over. I have made this salad for thirty years. You know how many people buy ingredients just to make a special salad? Well, I am just the opposite. I keep a bag of frozen peas in the freezer at all times–and I make this salad when I am running out of ideas of other things to make! 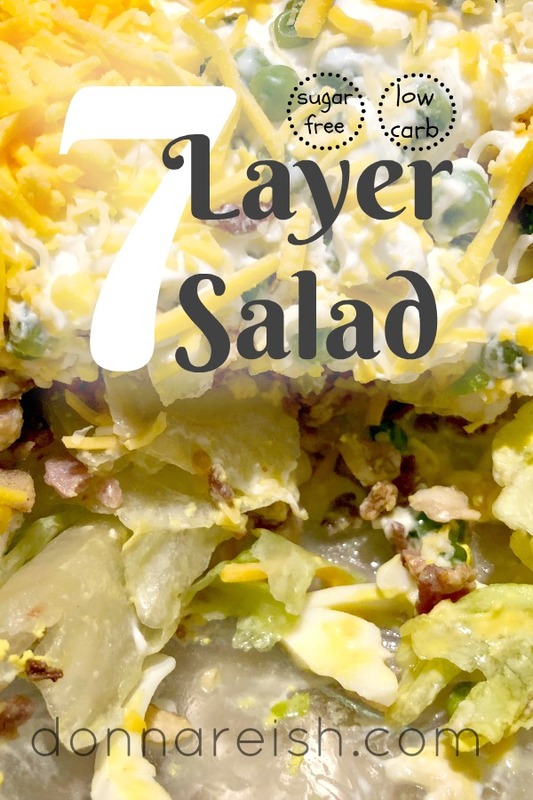 It is so versatile (can have five layers, six, eight, nine…whatever), and I almost always have lettuce, cheese, and eggs on hand. So there you have the start of it! To make this truly low carb, you will want to omit the peas or use them very sparingly. (Is it still the “original” 7 layer salad without the peas? 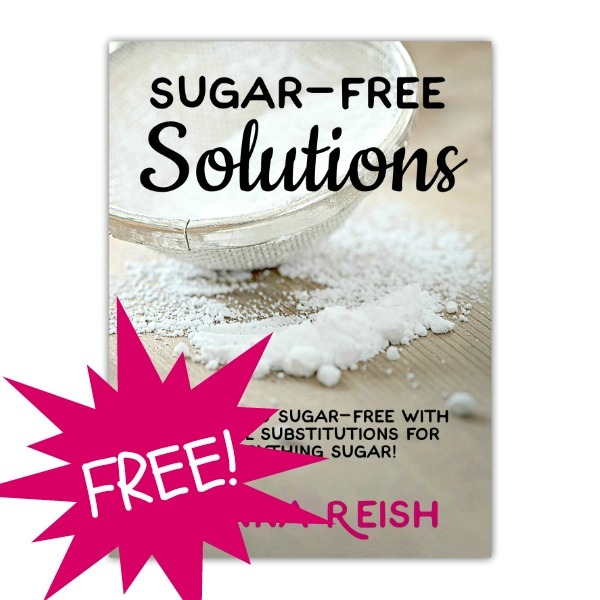 I use Pyure granulated sweetener in place of sugar in almost everything; however, you could use Pyure drops or stevia drops. It is possible to use croutons in salad and still keep the salad low carb. You can use my Sprouted Low Carb Dough to make mini loaves and make croutons in the air fryer, skillet, or oven. OR you could use store bought low carb bread. Do not put croutons on this salad until serving time! They get mushy otherwise. Clean and prepare all salad ingredients as directed in list. Layer salad ingredients in the order they are given in ingredients list. Top with salad dressing smoothed over. 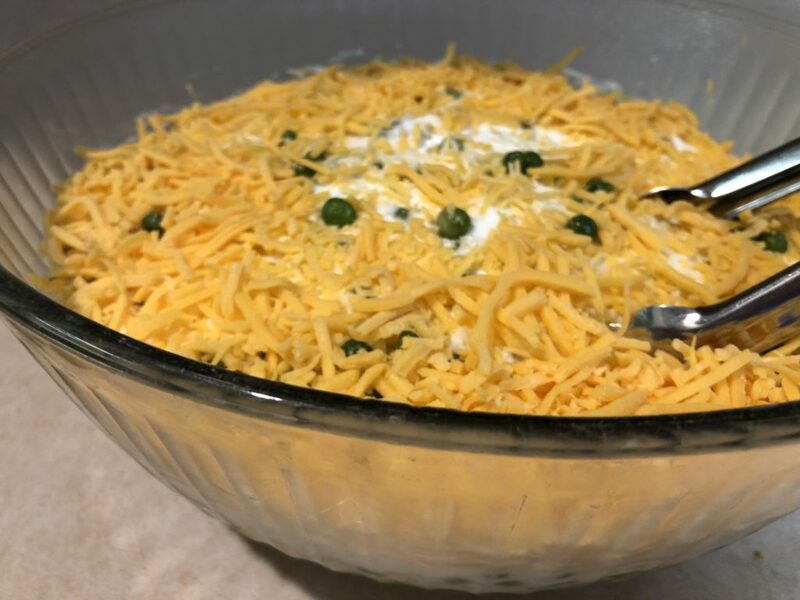 Add more shredded cheese and peas to top if desired. Refrigerate 2 to 24 hours prior to serving. Top with croutons at serving time, if desired.